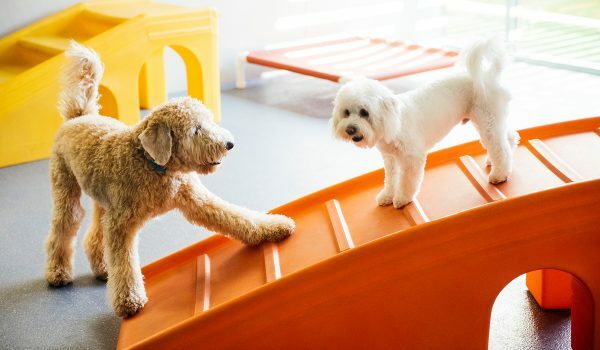 Treat your four-legged family member to five-star treatment at Dogtopia of Austin, an open play dog daycare, spa and boarding facility. 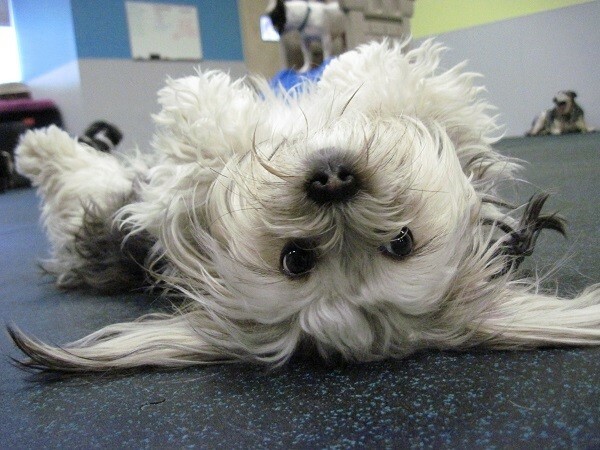 Located in the heart of Lakeway, we’re your one-stop shop to spoil your dog! 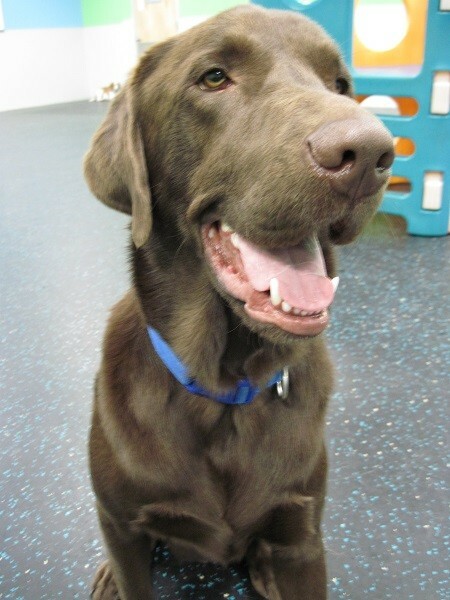 Our friendly and knowledgeable team is highly trained in providing both dogs and their parents with a safe, healthy and fun environment. 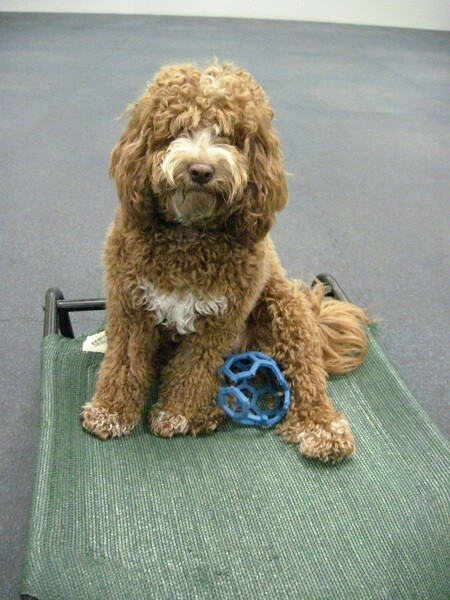 Favorite Activities: Making new friends, zooming around the Toy Box, and snuggling with staff. Friends: Pippa, the Westie, Joey, the Shih Tzu, and Charlie, the Maltese. 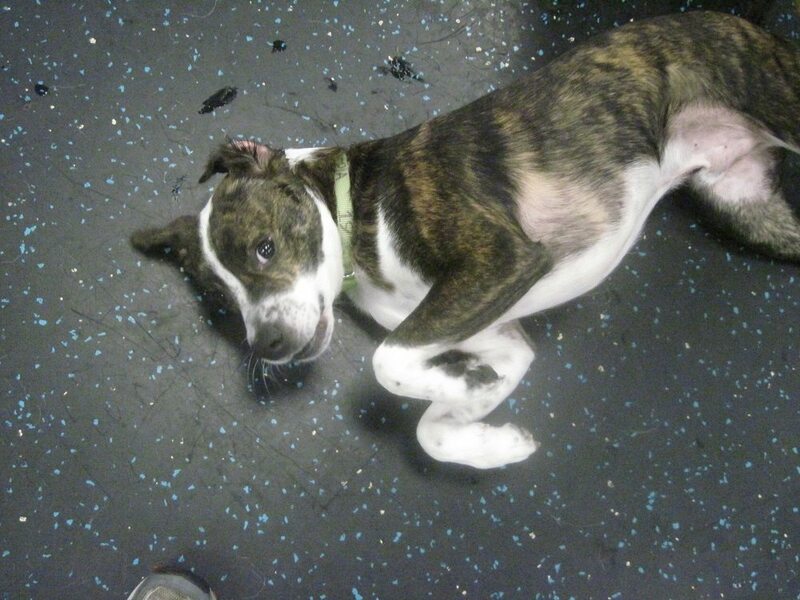 Most Lovable Qualities: She's such a happy, playful pup and she gets along so well with everyone!! 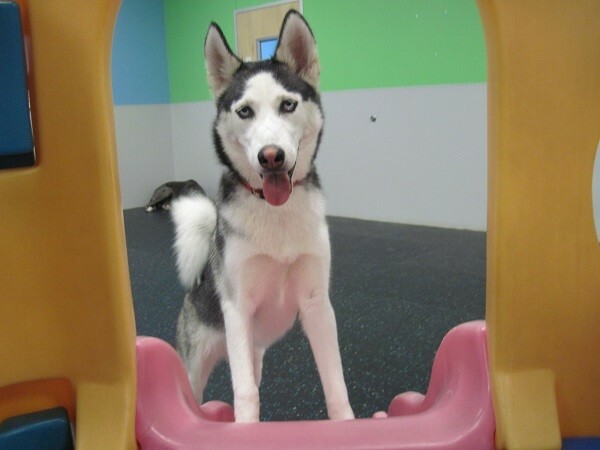 Why leave your dog home alone while you’re at work or on vacation when they could be playing to their heart’s content in our three safe and fully enclosed playrooms and outdoor play area? 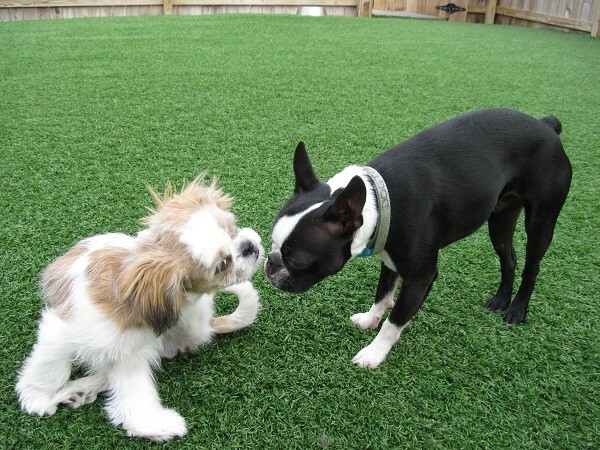 Our fully-equipped dog daycare and boarding facility boasts 5,000 square feet of play space. 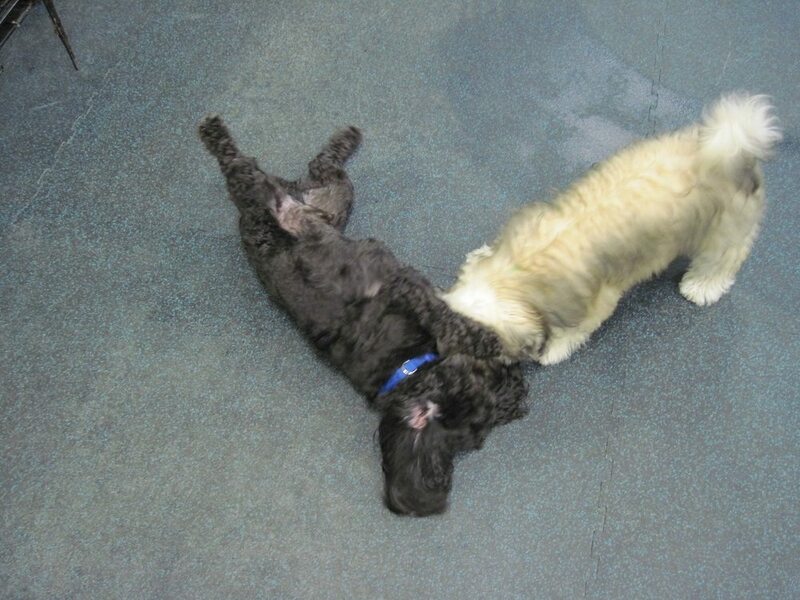 At Dogtopia daycare, your dog is assigned to the playroom best suited to their size, temperament and play style, and they get to hang out and play with their friends for up to 10 hours a day. Your pup will enjoy plenty of fun in the sun during the summer. They’ll splash in our swimming pools and frolic with their newfound friends in our outdoor play area! Or maybe your furbaby is long overdue for a bath. 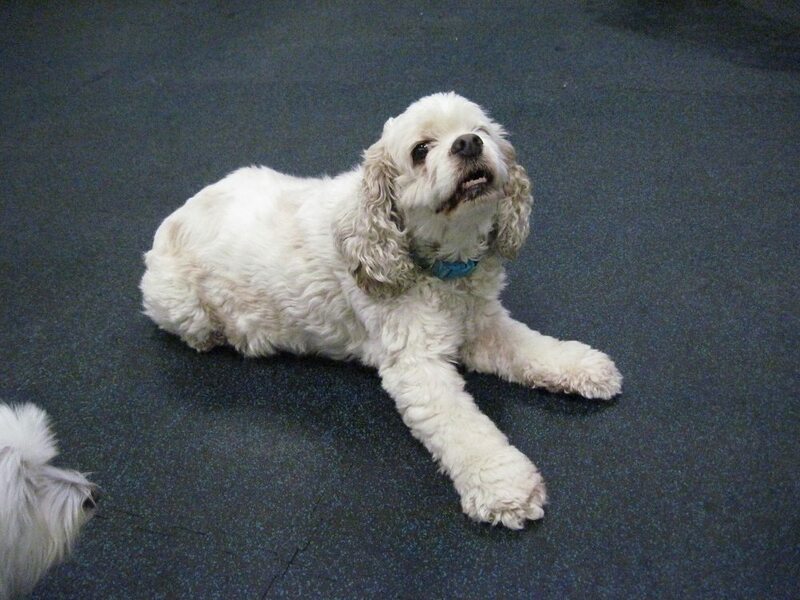 Bring them to our fully equipped spa and avoid the mess and stress that bathing your dog at home. We offer spa appointments, or you can combine a day of play and beauty as time in the spa can be part of our daycare and boarding packages. 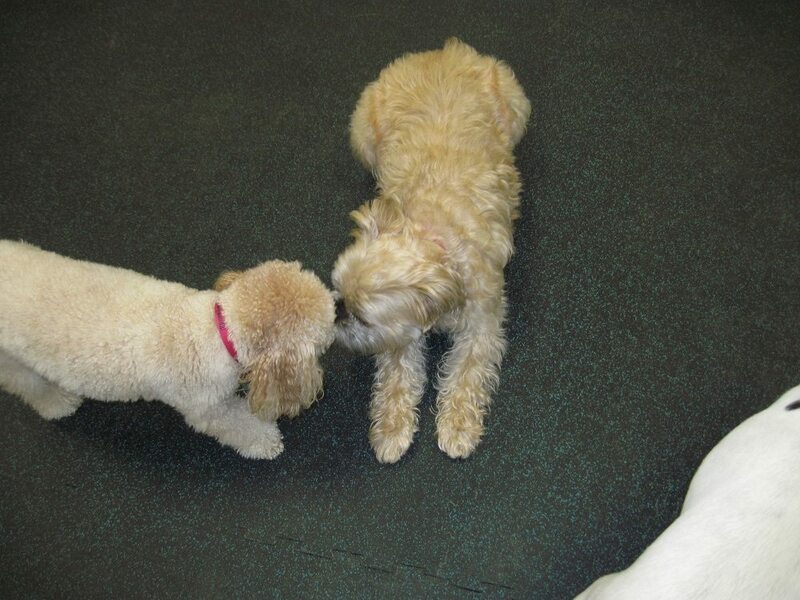 We also have an in-house groomer who provides breed-specific haircuts and shave downs. Their services are in high demand so we recommend contacting us to book advance. 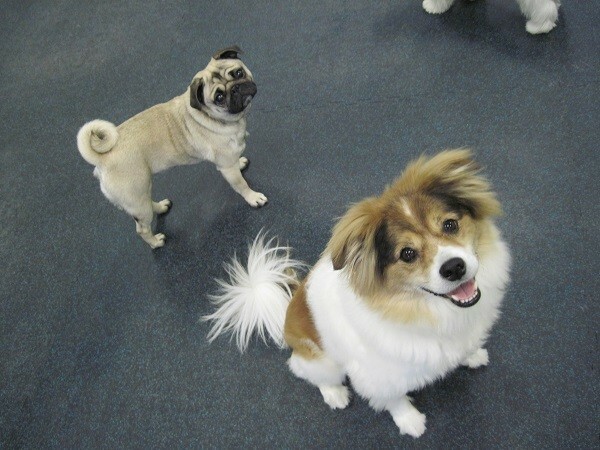 If you’re planning to use our daycare or boarding services, please bring your dog to our location for a visit so they can get used to our facilities and our team. 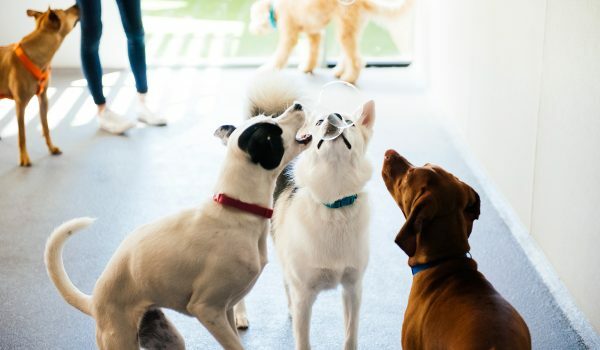 We take our canine guests’ safety very seriously, so every dog must pass a thorough meet and greet to ensure that they are a good fit for open play environment. To schedule a visit to our facility, please contact us and let us know when we can expect you. 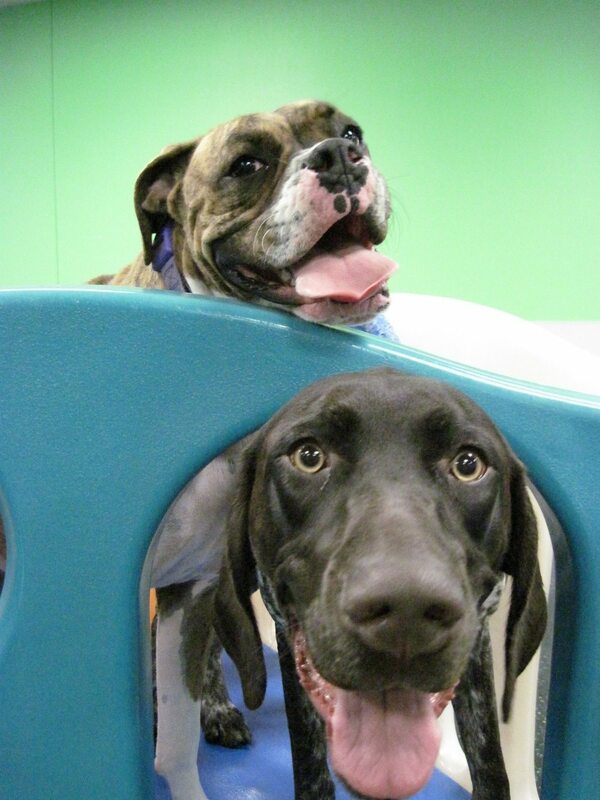 We would love the opportunity to get to know you and your dog and show you both everything we have to offer! 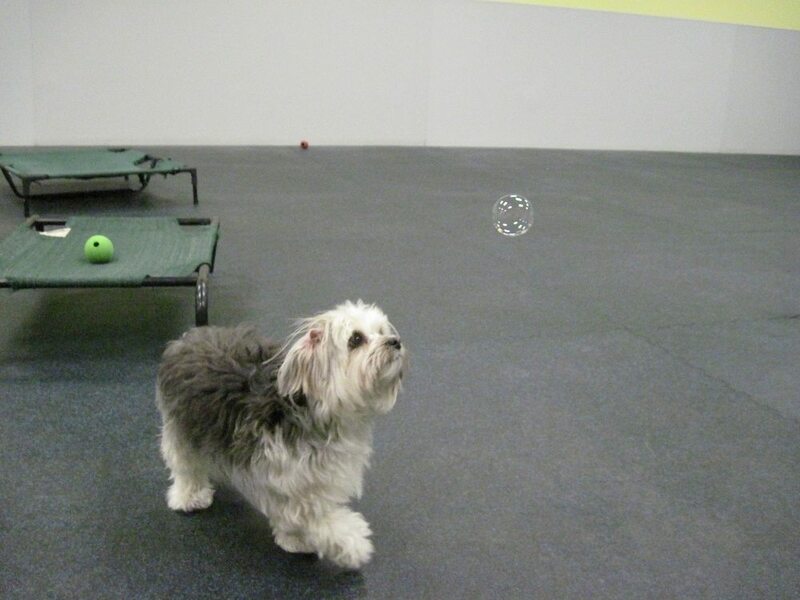 We designed our facilities with your dog’s comfort in mind. Our climate-controlled playrooms feature flooring made of compressed rubber, a material that is easy on their foot pads. 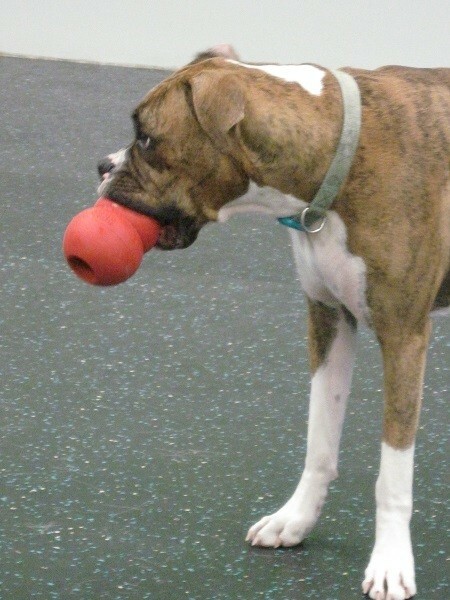 As an added bonus, this special material won’t affect your dog’s housetraining in any way. Dog parents can check in on their pets throughout the day via our webcams, which can be accessed from your PC or smartphone. 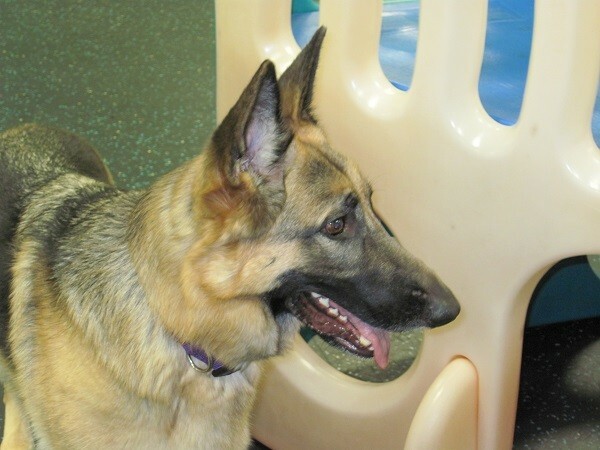 Webcams are set up in each of our playrooms and let you keep an eye on your dog when you can’t be with them. 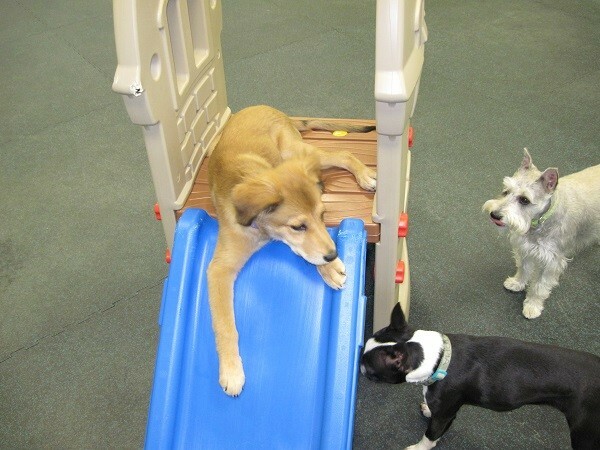 To ensure your dog’s safety, our playrooms are staffed by our fantastic dog care professionals. 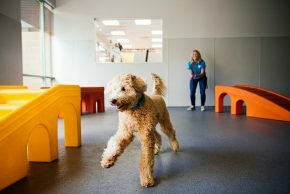 Dogtopia room attendants go through rigorous training in dog behavior, so they know the language of dogs and how to safely run a room. 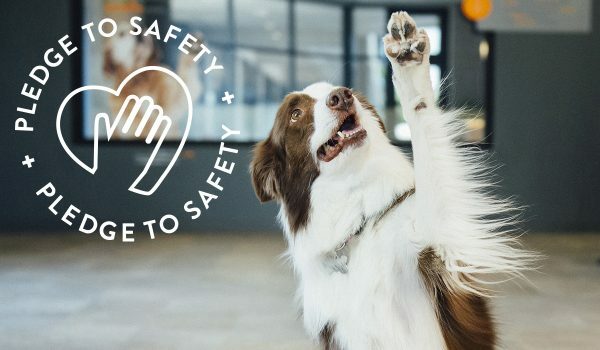 Safety is our number one priority, because dogs have to be safe before they can have any fun! 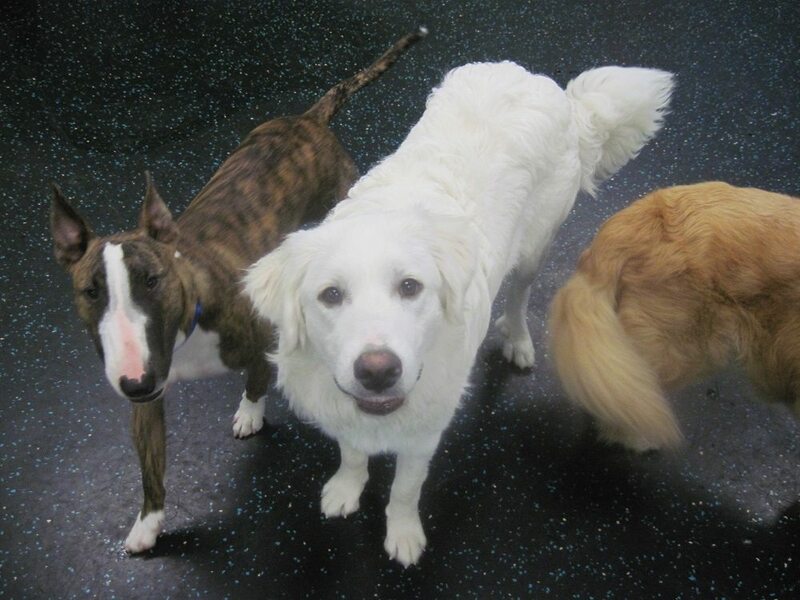 Dogtopia of Austin has partnered with Karma Dog Training to offer group classes every Sunday. 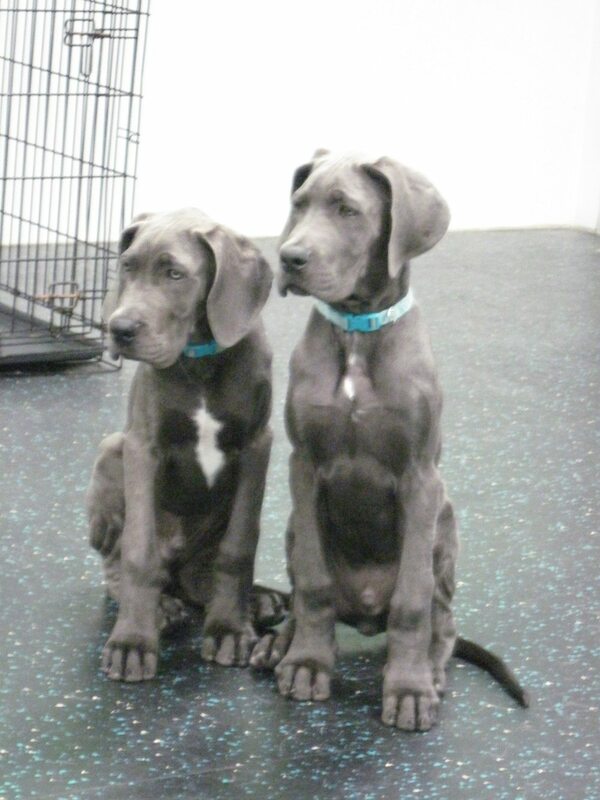 Whether you have a puppy you’re hoping to socialize or an older dog needing some basic obedience, Karma can help you out! Please contact them for class information and scheduling. Looking for that special toy or treat for your furry loved one? Come by to check out our boutique area, where you can find an assortment of doggy treats, toys, bedding and Holistic Select food in our lobby. 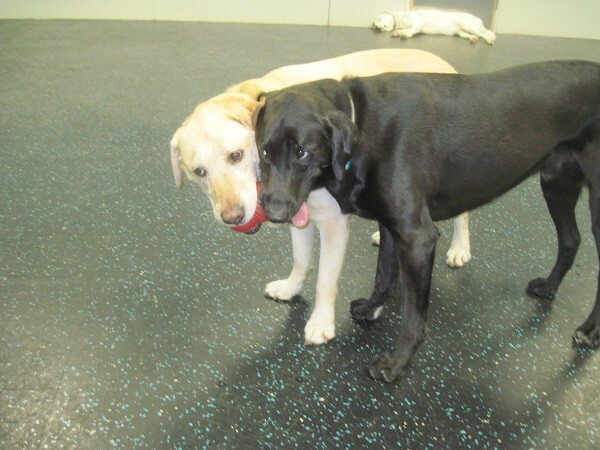 Ask our staff about our pass perks program to get 20% off treats and toys, and 10% off food! Every dog is unique. 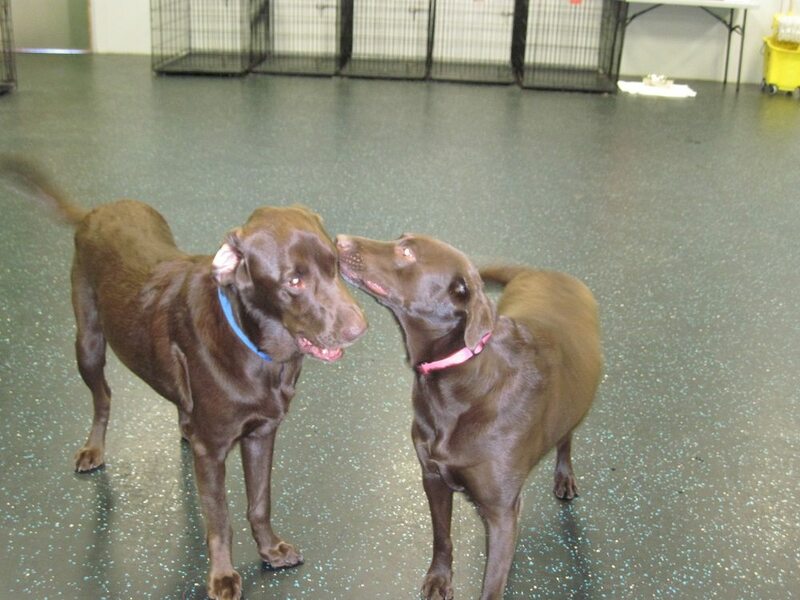 At Dogtopia we take the time to help you determine which of our daycare, boarding and spa services will best suit your dog’s needs as well as your own. 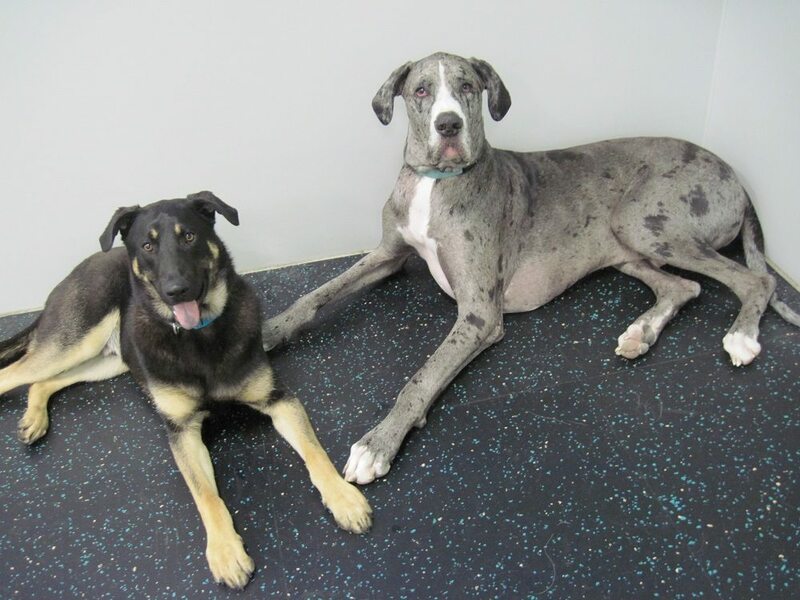 If you have any questions or want to schedule your dog for our daycare, boarding or spa packages, feel free to contact us and our team will be more than happy to answer all your questions and help you determine if Dogtopia is a right fit for your pet. You can also download our enrollment form here or call us at (512) 298-6817. We are conveniently located at 2105 RR 620 South, next to the Randall’s shopping center located at Lohman’s Crossing and 620. We are behind the Chicken Express and Valero gas station.